Severino, now 13-6 with a 2.93 ERA, made one major mistake that Welington Castillo hit for a two-run homer and a 2-1 lead in the second inning. It spoiled the righty’s chance to add to his MLB-best 15 games allowing one run or fewer. 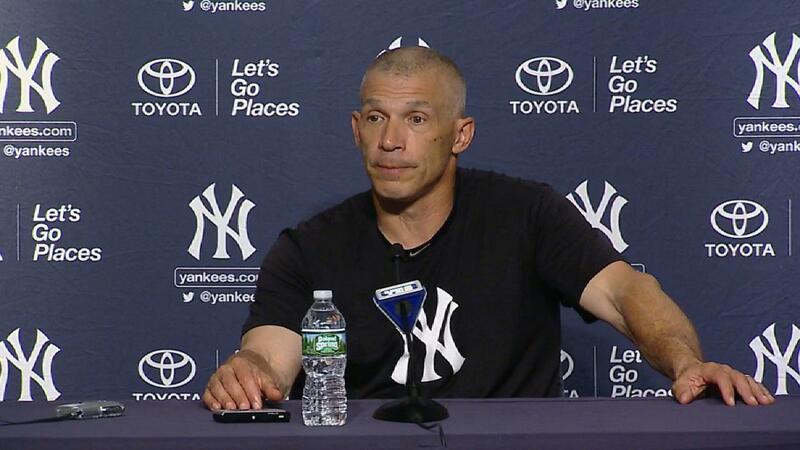 It’s still too soon to tell what situation manager Joe Girardi will be faced with when he has to make a choice. If the Yankees overtake the Red Sox in the American League East race, it could be Game 1 of the AL Division Series. If not, it could be a tiebreaker game or the AL Wild Card Game. And while he commits to nothing, Girardi describes Severino as the type of pitcher one chooses. And this is the Yankees, so everyone knows there are loftier goals than just reaching the postseason. But with Severino, Girardi says, the club has the type of pitcher required to get all the way to the end. Contextually, Severino’s breakthrough season is actually more impressive than the numbers that likely put him immediately behind Cleveland’s Corey Kluber and Boston’s Chris Sale in the AL Cy Young Award conversation. After making a splash by going 5-3 with a 2.89 ERA in 11 starts in 2015, Severino was expected to be key in the ’16 rotation. Instead, he fell flat by going 0-8 with an 8.50 ERA in 11 starts before being sent to the Minors. He was effective as a reliever late in the season. So how would Severino feel about being anointed to pitch the biggest game of the Yankees’ season, whenever it should come?